TOKYO (Bloomberg) -- Sumitomo Mitsui Financial Group Inc. expects to overtake Ford Motor Co. as the largest shareholder in Mazda Motor Corp., according to the bank's chairman. The company will become the leading shareholder in Mazda by the end of this year, Masayuki Oku, chairman of the Tokyo-based bank, said today. Ford, Mazda's largest current shareholder, owns about 11 percent of the Hiroshima, Japan-based automaker. Sumitomo Mitsui Financial Group owns at least 2.9 percent, according to data compiled by Bloomberg. Ford, which held a controlling stake in Mazda until two years ago, has joint ventures in Thailand and the U.S. with the Japanese company, while the companies plan to dissolve a partnership in China. Ford has reached a tentative agreement to reduce its holding, worth about $515 million, by selling shares to Sumitomo Mitsui, Sumitomo Corp. and suppliers of the Japanese automaker, Nikkei English News reported Oct. 16, without saying where it got the information. Sources told Reuters today that Ford was looking to sell its Mazda stake to gain more freedom for its Chinese operations. A three-way venture between Ford, Mazda and Chongqing Changan Automobile is currently seeking government approval to split into two, with Ford and Mazda each partnering Changan separately. "It sounds like Ford decided to cut its ties with Mazda, and it would rather nurture its Chinese venture businesses," said Fumiyuki Nakanishi, a manager at SMBC Friend Securities. The Nikkei report about a change in the capital relationship between the two automakers is speculation, Mazda said in an Oct. 16 statement. Ken Haruki, a spokesman for the automaker, declined to comment further when contacted by Bloomberg News today. Ford is not releasing Mazda shares because it needs the finance, Sumitomo's Oku said earlier today. The business tie-ups and spirit of the Ford-Mazda alliance won't change, he said. The bank will hold on to the Mazda stake it plans to buy by the end of the year “for a while,” Oku said. Mazda had 64.4 billion yen ($793.6 million) in long-term borrowing from Sumitomo Mitsui, according to the automaker's annual financial report. 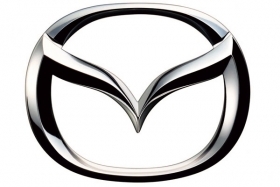 Mazda is considered part of Sumitomo's network of Japanese corporations, or keiretsu, that typically own stakes in one another. The U.S. automaker has signaled it intends to end developing cars and trucks jointly with Mazda. Ford's new Fiesta small car is based on the mechanical foundation of the Mazda2 subcompact. Ford's Fusion family sedan is based on the Mazda6 platform and its new Ranger pickup truck is built alongside its mechanical twin, the Mazda BT-50, at a factory in Thailand that the automakers jointly own.